The acai palm tree produces the acai berry fruit. For countless generations, Native American people have nurtured this fruit to make it a regular fixture in their diets. Lately though, acai berries have drawn press coverage in several western countries, in light of the unique array of health-promoting nutrients they have in them. Included in these is mono unsaturated fat, along with dietary fibre. The powdered Urban Health Acai from Holland & Barrett is presented in a 30-sachet container. All sachets contain entirely organic, powdered, premium acai sourced from sustainable, small Amazon Rainforest villages. Claims: Contain entirely organic, powdered, premium acai sourced from sustainable, small Amazon Rainforest villages. 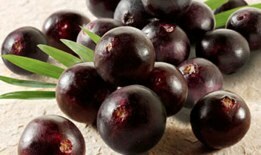 In view of the manner in which they bolster the metabolism, acai berries are better known as weight loss aids. The significant quantity of antioxidants contained within acai berries cause this. Antioxidants shield cells & ease oxidative stress. This facilitates fast fat processing, greater energy & less lethargy. 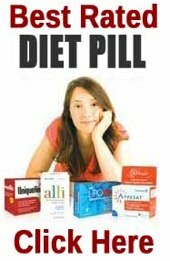 When combined, these effects circumvent many side effects often witnessed using synthetic chemicals, and keep the weight reduction process easier & briefer. The quality of each acai product can fluctuate. 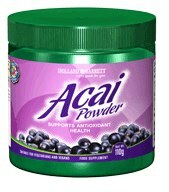 Various manufacturing techniques for acai berry supplements can result in inconsistent amounts of purity & nutrients. Spray drying is a procedure that utilizes powerful chemicals and heat to concoct potent acai, destroying most of the nutritional value. This technique is often adopted as it is ninety percent cheaper than trying to freeze dry acai. Whenever acai is made like this, it is unusable. While the berry grows, herbicides and / or pesticides are omitted. The water gets taken out at a lower temperature, to retain the acai powder’s nutrients. Convenient foil sachets are used to hold the tasty acai powder, to restrict light and oxidation, and keep it fresh. Holland & Barrett claim that the end product is a drink ready to be mixed, from which you will get wholesome fibre, key amino acids, omega fats, antioxidants and vitamins. It is good practice to understand which drying technique is used with Acai. With the low temperatures Holland & Barrett adopts, the technique should occur in an atmosphere bereft of oxygen, halting any break down of the nutrients via oxidative reactions. This technique represents the ideal strategy to keep hold of the acai’s various nutrients. All trials supporting acai’s nutritional merit were undergone on frozen acai. The customer reviews online concerning this supplement, albeit limited, have been complimentary, and Holland & Barrett have a trustworthy name. 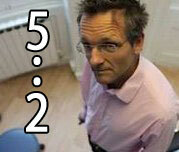 Users have said that they support the strict conditions of manufacturing and the ethical production. The supplement’s foil sachets are also said to be handy for travelling. Despite this, potential buyers should know that the supplement’s ingredients can not be entirely validated, because (as of April 2012) the F.D.A. has not examined any US acai products. Although the Holland and Barrett product is reputable as you would expect from a near institution, the existence of the excellent Acai Plus from Evolution Slimming makes it impossible to recommend. 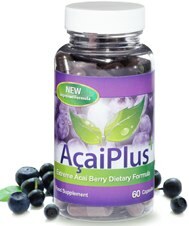 Acai Plus contains 400mg of authentic acai with the added benefit of green tea.